My company, Party Pickles, was inspired by my love for my children Max (9) and Ruby (6), and my wish for them to develop into driven young adults. I’m still excited by the potential that Party Pickles holds; and each day I work to advance and grow whilst retaining the values and traditions that I’ve always had, to provide special parties and aid in the creation of beautiful memories for children. So without further ado, here are some tips I’ve picked up along the way. Children are by far one of the most difficult age groups to look after and provide for; but they’re so worth it! When throwing a party for your little one and their friends there are things that you should always keep in mind, this is to prevent accidents and maintain a warm atmosphere where everybody is catered for. To throw the best party possible, a party that your child will never forget; all you need to do is follow these simple steps. 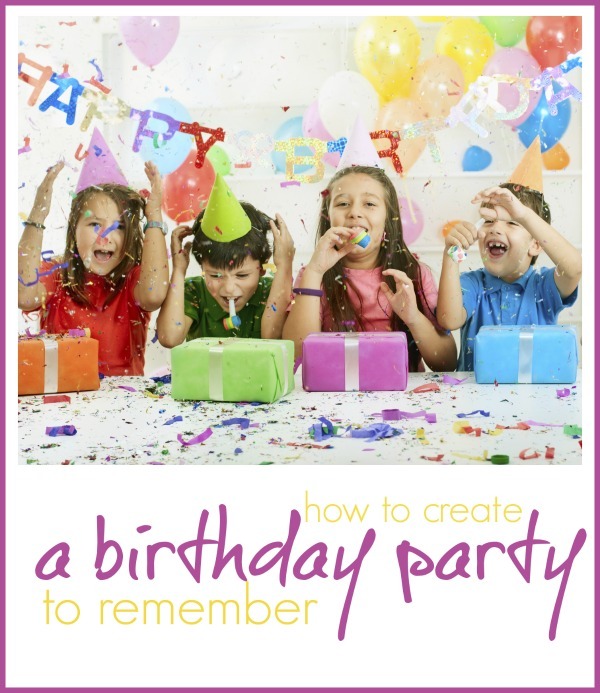 When selecting the children that you would like to invite to your child’s birthday party try to keep the number relevant to the age of your child. A general rule for inviting children to a party is to invite the same number of children as the age of your child +1; by inviting this many you are ensuring that your little one will be able to cope with the amount of people in attendance. Don’t feel that you have to invite the entire neighbourhood or your child’s whole class as this can lead to a stressful event with too many children to handle and not enough food to go around. Children are notorious for being incredibly fussy about food and what they will or won’t consume, they’re also fussy about what they’re willing to drink too. Finger foods are a great way of getting around this as the appearance of food can often be what puts children off eating. By making food fun, you can avoid the fussy eater scenario; however you should discuss allergies and preferences with the parents of the children invited to be on the safe side. Inoffensive music should be playing in the background as this automatically lightens the atmosphere and will encourage the children to play rather than being nervous or passive. There are several others things that you can include at a party to keep children entertained, for instance if it’s an outdoor party, you should consider hiring a bouncy castle. If the weather is bad and the party has to remain indoors, activities such as dress up, board games and activities that include crafting things can be included. When dealing with children, accidents are almost certain to occur. Methods of preventing accidents would be to eradicate bad behaviour before it starts, have more than one adult supervise a large group of older children or avoid games that are too competitive. Keep an eye on children that are becoming too excitable and if necessary redirect their attention or split the group up in a subtle way, this way you won’t have to stop bad behaviour as instead you will have prevented it. Games that are competitive can lead to unnecessary aggression, especially when young children are already excited, so if you are considering competitive games ask more of the parents to stay so that the children are handled well. The majority of the party will depend on the preferences of your child and their friends, but by following these simple tips you can ensure to throw one of the best parties possible! If at any time you begin to feel that the party is becoming too much simply change tactics and go with passive games or allow the children to roam freely and entertain themselves whilst you recuperate. Author: Emma Collins is the founder of Party Pickles and works hard to share her knowledge and experience with others to help you create the best parties possible for your children.